An invitation from the newest collection made from ecru-coloured pearl paper. 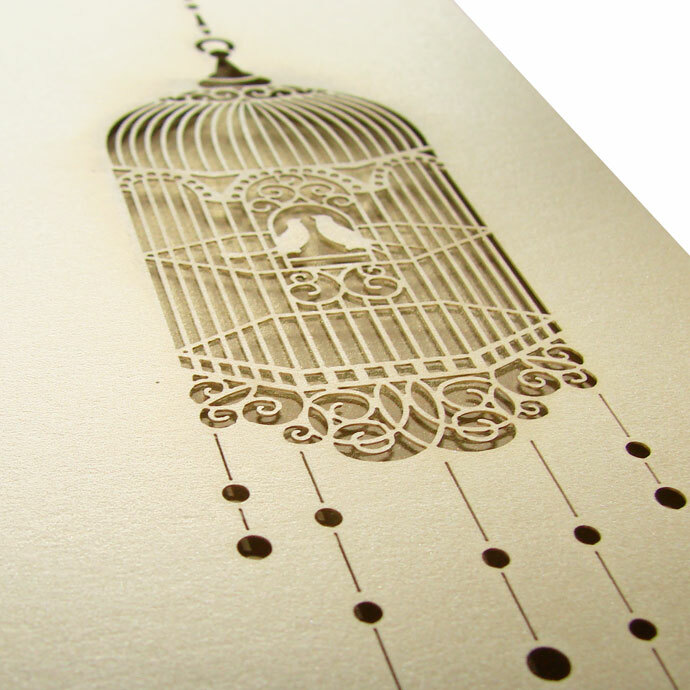 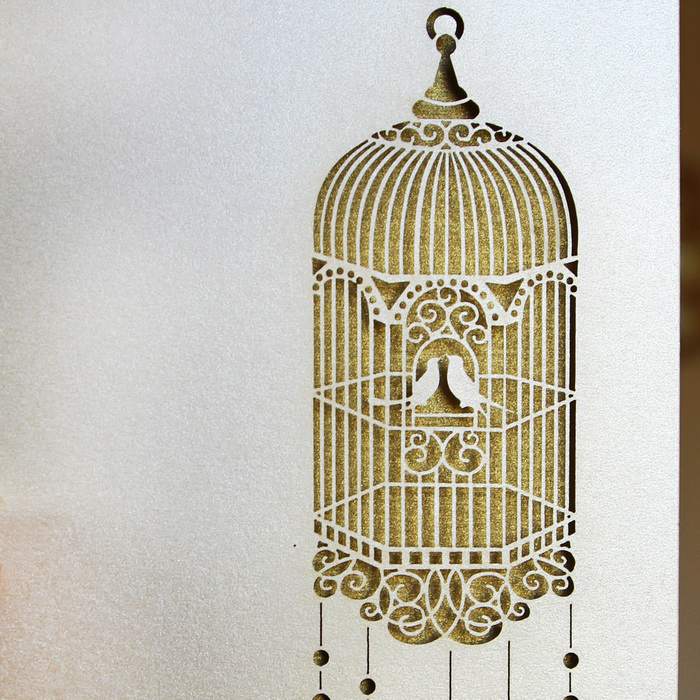 A laser cut of a bird cage with two birds is found on the right side. 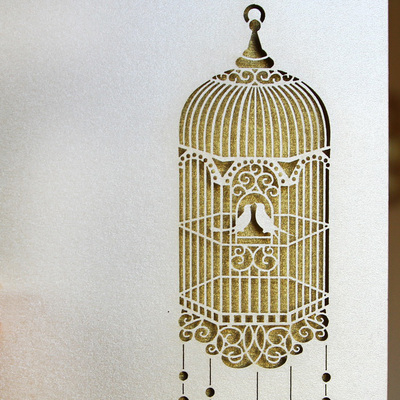 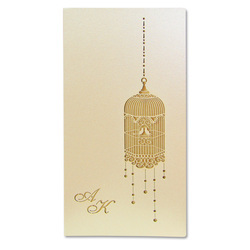 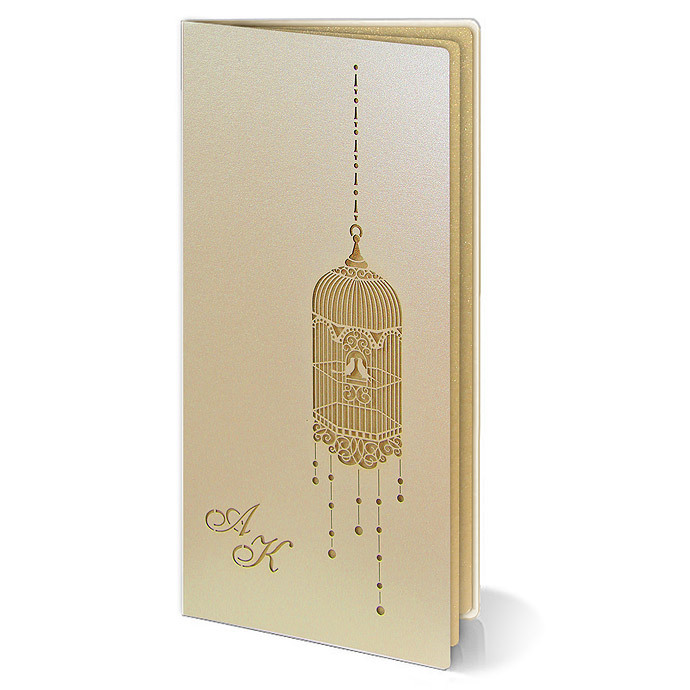 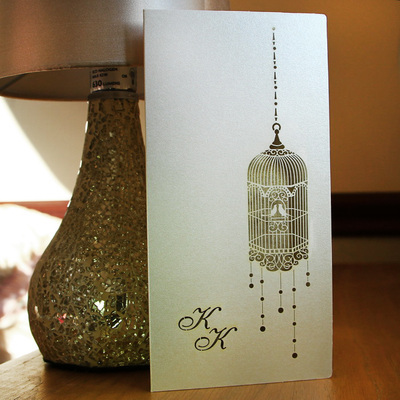 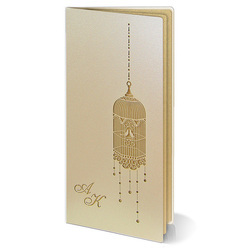 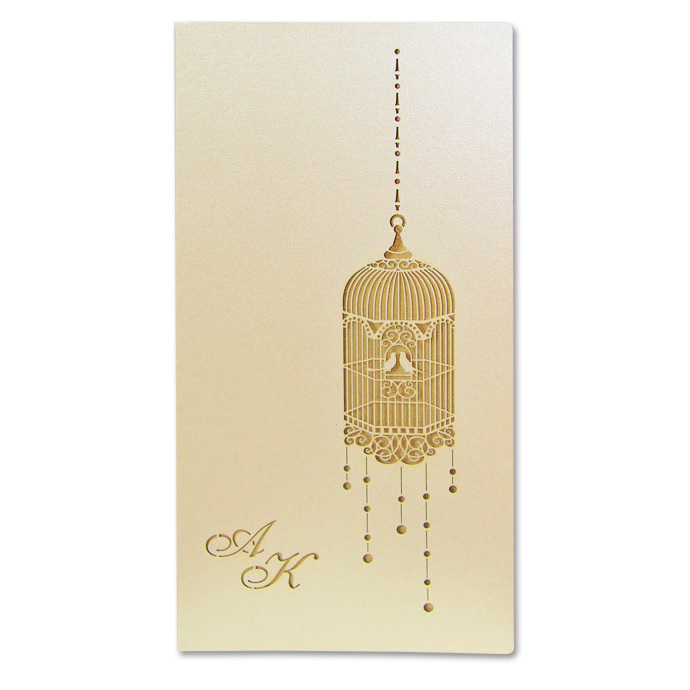 The gold insert for text acts as a background for the birdcage. It is possible to laser cut the initials of the bride and groom.